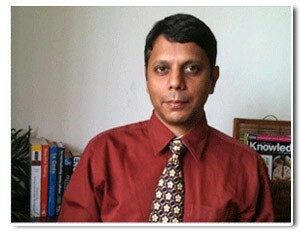 We build capability of software teams to deliver effective high quality solutions, via process and skills improvement. Setting up the “software development” part of offshore captive centres. Hiring and appraisal process and policy for software personnel. Metrics definition, collection and interpretation. We take care of S/W process definition, implementation and hand-holding. While processes are important, they only provide a base for project deliveries to be smooth; by themselves can help only up to a point. To go beyond this, skills of team members must improve for which we create bespoke programmes for development of personnel at lead, manager and unit head level. Creating a Scrum based software project execution environment. Setting up a continuous improvement process framework for an s/w development unit. Scaling and distributed project execution (onshore/offshore). S/W development process definition, review, recommendation and hand-holding while implementation. This will be usually based on XP, and most useful practices suggested to suit your circumstances. Improve performance/productivity of teams and their capabilities, in terms of quality and speed of development. This is mainly via Scrum and judicious use of s/w tools within a Continuous Integration framework. Software Project Management competence and capability building for Scrum/agile projects. Improving coding and unit testing. Automating your regression packs tools and organising your tests. Scrum and user stories to encourage innovation. Tools for s/w development cycle from static code analysis, to testing to coverage; Evaluation and recommendation. Streamlining recruitment of management talent which fosters self organising teams. Project lifecycle planning and tracking tools. Software product/process metrics audit and recommendations. This book introduces a lightweight software project management approach (Scrum) that has been gaining currency in the software world during the naughties. It has been used to great benefit by many software development organisations in the past few years. 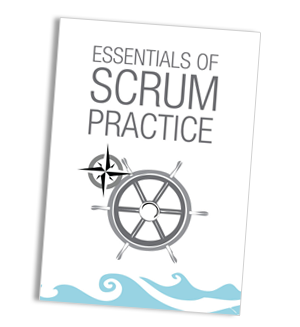 We provide the reader with background information, then cover details of how to practice Scrum and practice it well. In our capacity as consultant we have observed many software teams struggling (often giving up) practising Scrum. In this book we offer many tips and aids to teams and Scrum Masters in their endeavour to use Scrum and ultimately derive benefits for various stakeholders. Along the way we dispel several myths which impede the understanding of Scrum and indeed software development. We believe that this book is particularly useful if your organisation. Is starting to recognise the need for a project management approach that is as simple (at least to state) as it is effective. Requires to start a new important project, where the stakes are high and the success/failure factors are many and possibly unknown. Currently has a project execution capability that needs radical improvement (due to impending expansion or recent failures). Needs a more open innovative culture for product development. About the Authors: C. Srinivas & G. Raghunath – Both have had extensive project experience in various roles and have maintained a deep interest in the nature of software projects and their management.